Preheat the oven to 375 degrees. In a large heavy frying pan, heat olive oil over medium-high heat. Meanwhile, wash the bell peppers. Cut the tops off of the peppers and remove all seeds and veins from inside with a knife and a spoon. Add chopped onion to the frying pan, seasoning with salt and pepper, and sautee until fragrant, about 2-3 minutes. 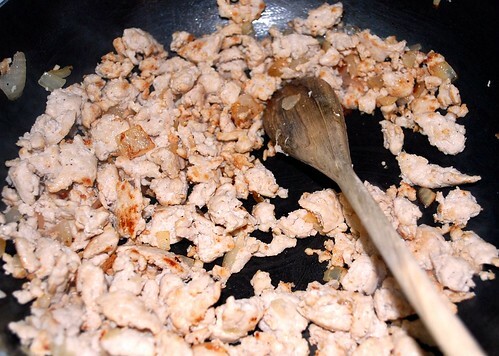 Add ground turkey and season again with salt and pepper. Sautee the turkey, breaking up into pieces, until cooked all the way through. Add garlic, and cook for 1 more minute. Turn the heat down to medium, and add the tomato sauce, and sprinkle in the Italian seasoning or herbs. Stir to coat the meat. 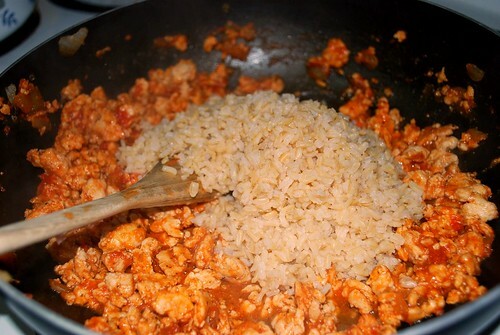 Add the rice, the parmagiano-reggiano, and the cream cheese. Mix until cheese is melted and incorporated. 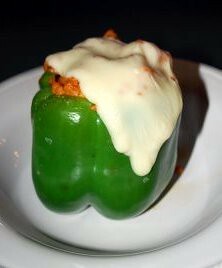 Place the peppers on a greased roasting pan or cookie sheet. 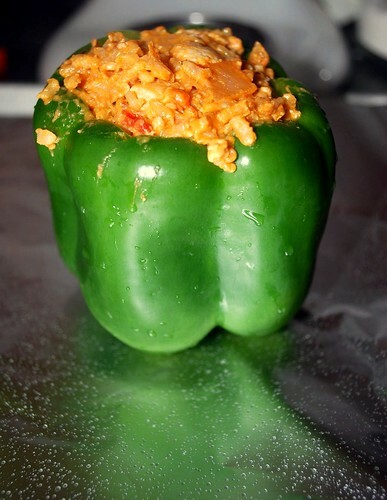 Fill the peppers with the turkey mixture. Bake for 15-20 minutes or until bubbling and sizzling. 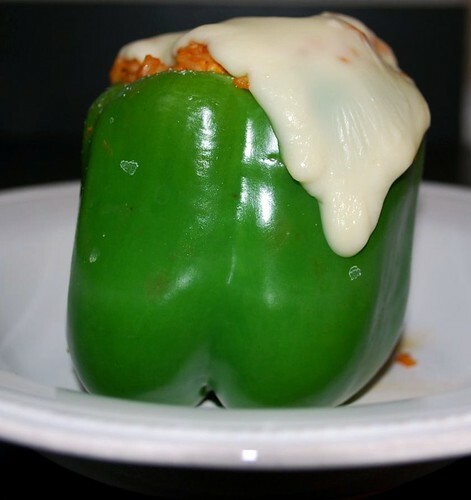 Remove and top each pepper with provolone cheese. Return to oven for another 5 minutes, or until cheese melts.